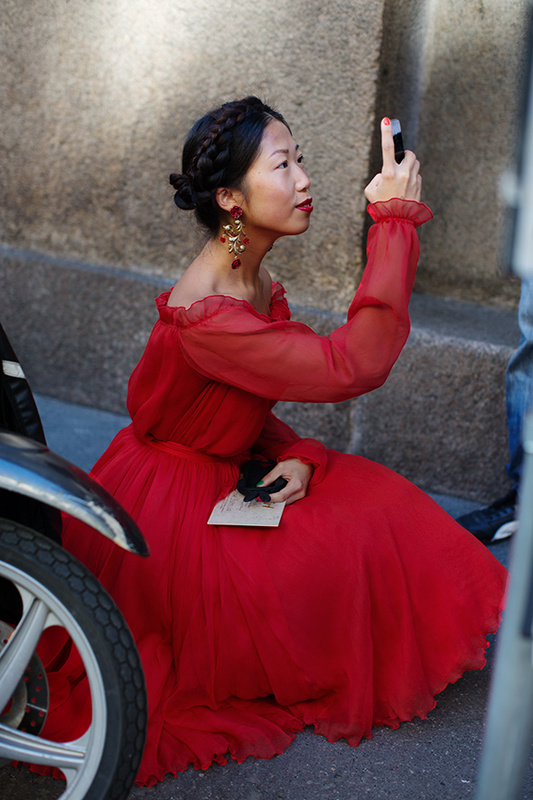 The Lady In Red look will never get old, I love this picture by the one and only Scot Schuman. Did her mum not see her before she left the house? JK, hot! Take this pants-free business seriously, it's really happening. What do you think about it? Would you try it? Hot or indecent? I'm not sure where I stand. Maybe I should feel guilty for liking this. So much love for Joan's givenchy jumper. Denni Elias of Chicmuse looking fab as always, this time in Dolce & Gabbana. I'm not a fan of Kitten Heels but I do like these Limited Edition Valentino Rockstud Pumps in all red and would love them in flats! 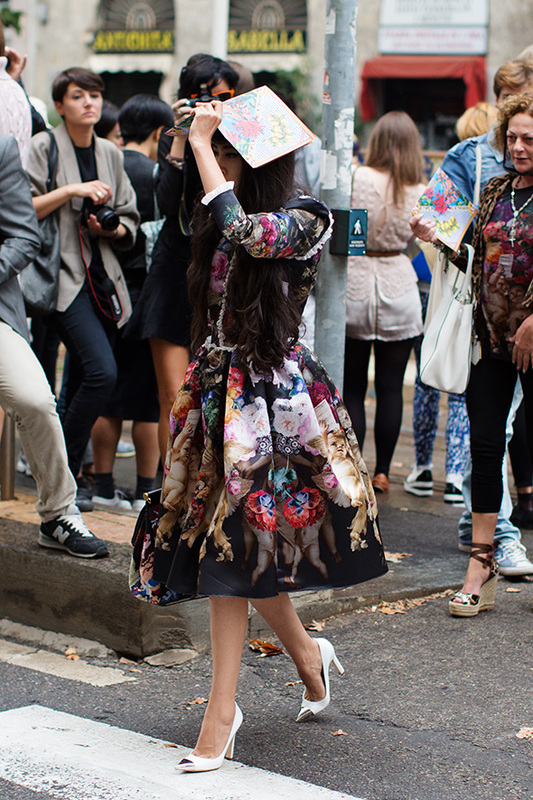 Fashion Blog | Tagged: fashion week, milan fashion week streetstyle, mirrorme, streetstyle | 2 responses.